Franz Schubert’s final work for chamber ensemble, Quintet for Strings in C major is universally acknowledged as one of the finest creations in all chamber music. This masterwork will be performed by members of the Dallas Symphony Orchestra: Emmanuelle Boisvert (violin), Andrew Schast (violin), Pamela Askew (viola), Kari Nostbakken (cello), and Jeffery Hood (cello). To mark the 50th anniversary of John F. Kennedy’s assassination, FACP will program a special piece to commend the President’s life and his support of the arts. Bancroft Family Concerts are made possible in part by the Sue & Christopher Bancroft Family, Brinker International, the Dallas Arts District Foundation, the City of Dallas Office of Cultural Affairs, TACA, the Texas Commission on the Arts, the National Endowment for the Arts and WRR-FM Classical 101. For over 32 years, FACP has presented free classical music programs for the enrichment of North Texas area residents. In addition to the free Bancroft Family Concerts, FACP presents the free Basically Beethoven Festival in July. Each year, FACP’s educational outreach programs, Dream Collectors and Community Classics, provide over 500 free educational classes and performances in area public schools. Since its inception in 1981, FACP has served over 210,000 children and performed for over 530,000 residents of North Texas. Fall For The Arts is a free all-ages celebration of all the arts North Texas has to offer. Fall For the Arts will also complement the Crow Collection of Asian Art’s 15th Anniversary sculpture garden grand re-opening; Target free first Saturdays at the Nasher Sculpture Center; Dallas Black Dance Theatre’s DanceAfrica including a parade from the Dallas Museum of Art to Annette Strauss Artist Square; and free architectural tours of the Winspear Opera House and Dallas Theater Center Wyly Theatre at AT&T Performing Arts Center. 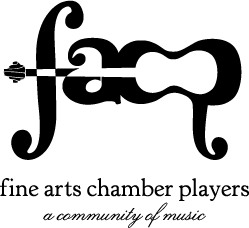 Stop by the Fine Arts Chamber Players booth and try your hand at a classical instrument!